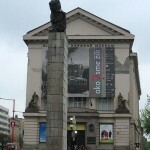 The Slovak National Museum has several interesting exhibitions to show visitors. They have special exhibitions about Jewish Culture, Hungarian Culture, Croatian Culture and other cultures in Slovakia. They also have a Natural Science Museum, a History Museum, a Music Museum and an Archeological Museum. Much to see, to experience and to learn! 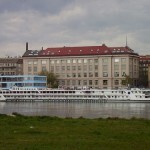 The museum is located by the Danube in the Old Town of Bratislava.